January 22, 2014 By Allyson 8 Comments This post may contain affiliate links. Read my disclosure policy. Two of my favorite appetizers are by far, Spinach Dip and Artichoke Dip. I have already covered Spinach Dip (a healthy version, too!) 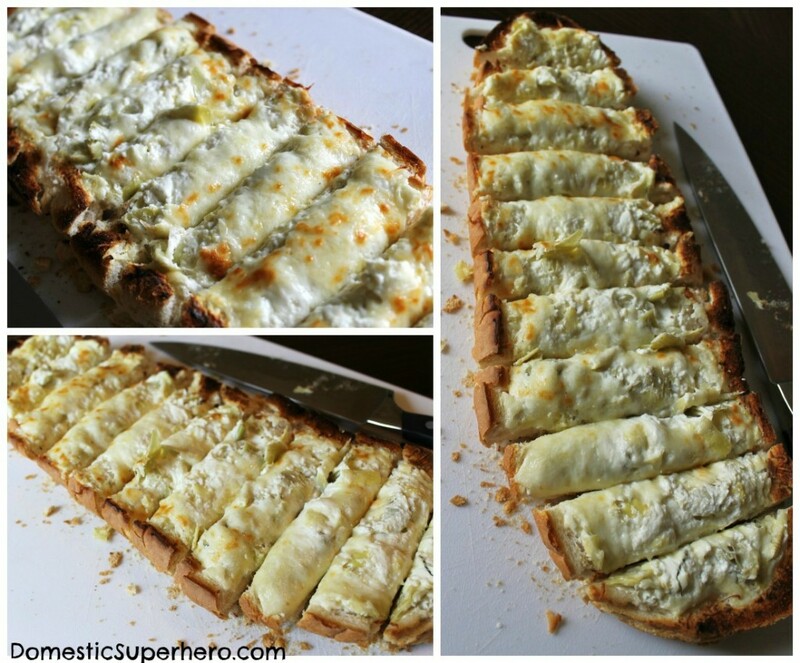 and a while back I posted a recipe for Cheesy Artichoke Bread (to die for). 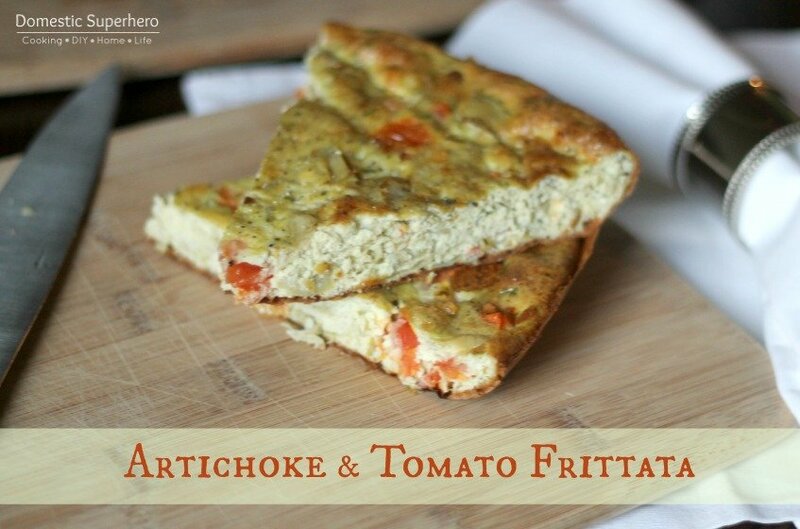 Both of these recipes are divine. Lately I feel like straight up Artichoke Dip is growing more and more popular, and I love how they serve it hot at restaurants….but the little bowl is never enough, right? Well, I have a great recipe for Hot & Cheesy Artichoke Dip. This dip is perfect for tailgating, football games, the Super Bowl, potlucks, kid’s birthday parties, your friend’s birthday party…..can you see where I am going with this? What I am trying to say is, this dip is good anytime, anywhere. It’s super easy to whip up, too. Bake it in a bread bowl, make it in little ramekins…whatever you do, just do it. 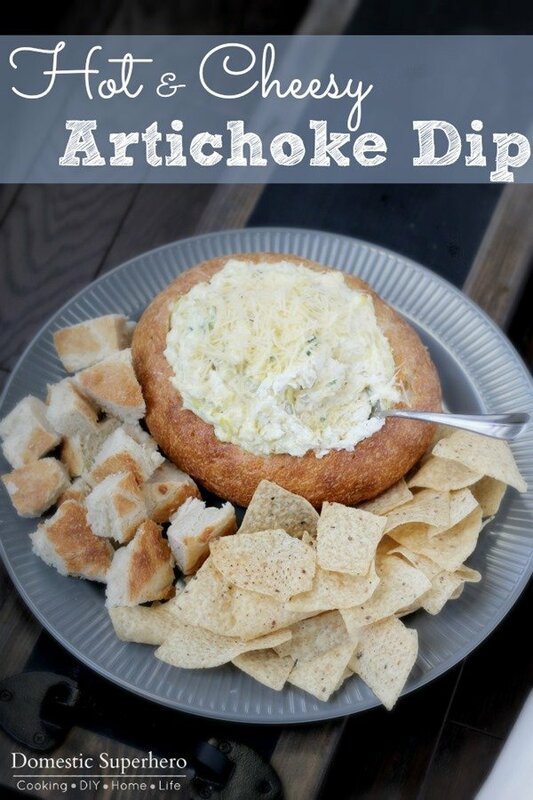 This dip is a must for any social event. 1. Preheat the oven to 350 degrees. 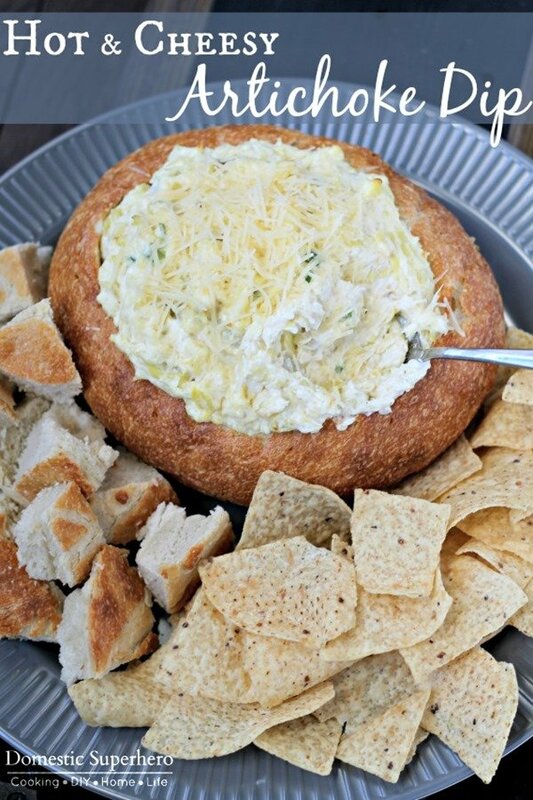 Cut a hole in the top of a bread bowl and scoop out the bread inside, creating a cavity for the dip. Set aside the extra bread for dipping later. 2. In a large bowl, combine the mayonnaise, Parmesan, mozzarella and cream cheese until smooth. Mix in the artichokes, green onions, garlic and season with salt, pepper, and cayenne. Stir well until all ingredients are mixed. 3. Dump mixture into bread bowl cavity. Cover lightly with a small piece of aluminum foil. Bake for about 15-20 minutes, until heated through. You don't want the bread to get too crispy. 4. Top with an additional sprinkling of Parmesan cheese and serve with bread, chips, carrots, celery, or other veggie dippers. This looks so yummy! I’ve pinned it for later. 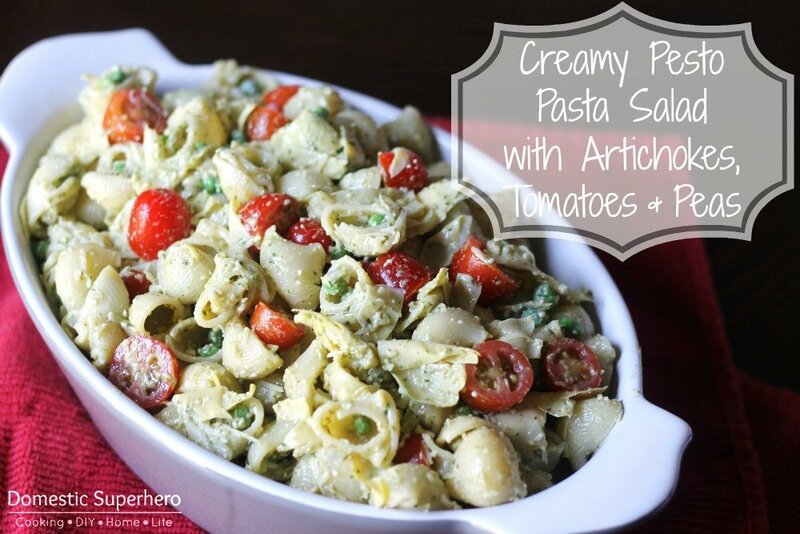 I would love it if you would stop by and share your recipe at my link party! Have a wonderful weekend! 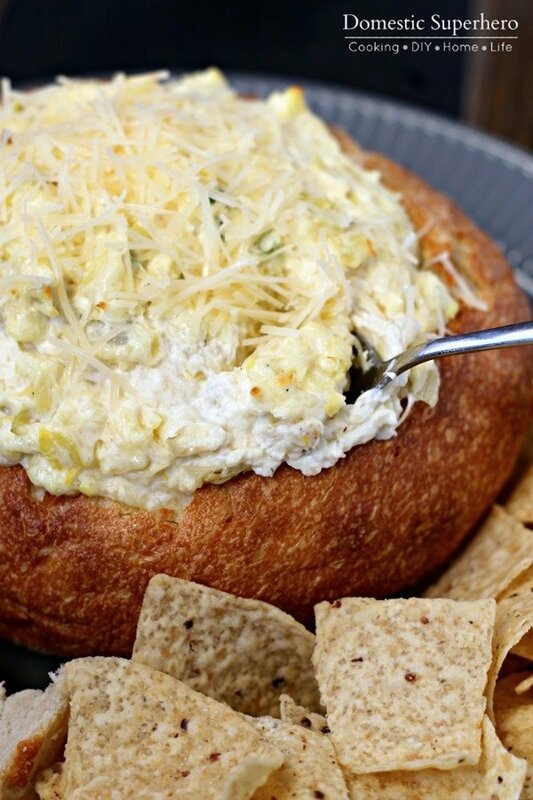 OMG, artichoke dip in a bread bowl, it’s like heaven!!!!! Thanks so much for sharing this at the Creativity Unleashed party, I’m pinning this for sure! HI Allyson! 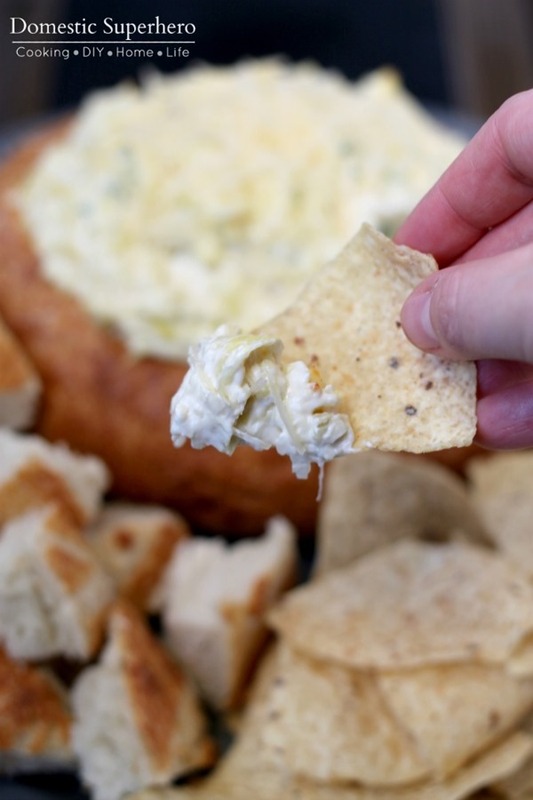 I just wanted to let you know that I’m featuring your amazing dip on my blog later tonight! Thanks so much for linking up to Creativity Unleashed!